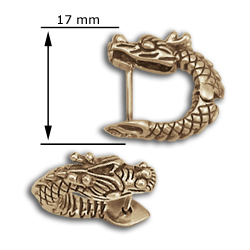 Let this pair of Dragons nip at your ears with matching 14k gold earrings. 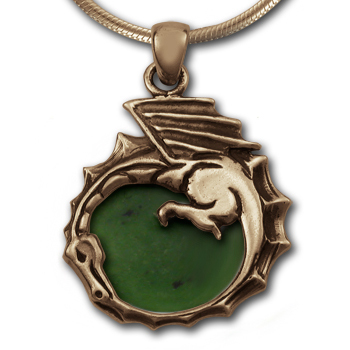 From the craftsmen at Wildthings Jewelry© come this daring-to-wear set of Dragons to hang by their teeth. Detailed eyes and scales and bumpy notched spine in black contrast add realism to the double Dragon look. The smooth flush hinges allow for easy and comfortable wearing. At 17mm from front to back, these are sure to be a favorite pair for every wardrobe.